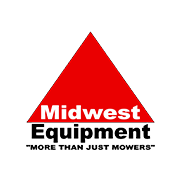 Midwest Equipment is dedicated to providing quality machinery and parts repair. It is dedicated in providing services to every machinery sold from their shops. However if you purchased an equipment outside their shop and still need their services its accepted. Incase of lawn mower breakdown, the skilled mechanics at Midwest equipment company utilizes the latest techniques to diagnose the extent as well the source of the problem. The ability to diagnose fuel, mechanical and electrical problems as well as conducting these repairs is made quickly. In addition to offering vastly-experienced lawn mower repair services throughout central Illinois, German Bliss is one of the leading dealers of farming, mowing and landscaping equipment with over 74 years of customer experience. The company highly recognizes that time is of essence to every client and therefore provides speedy delivery even when in need of shipping of the equipment purchased. German Bliss has three branches with the Princeville, IL being the primary headquarters, and the others located in East Peoria and Springfield, IL. German Bliss is a customer driven and diverse company that specializes in a wide range of equipment solutions. Besides being a major supplier of construction, agricultural and lawn care equipment in the three locations, the company also offers services in supplying light truck parts and repairs. The other are specialization of the German Bliss is welding and fabrication. This division is equipped with expertise to repair of truck boxes, agricultural equipment, lawn mowers, landscaping equipment and many others. The company is also certified by the State of Illinois for its truck testing station, and this ensures that all heavy-duty equipment serviced/repaired and manufactured by the company meets the required state regulations. 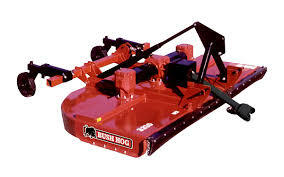 In the lawn mower parts category, the company just released a new line of Woods mower parts, including those for finishing mowers, rotary cutters, and Commercial Walker Behind (CWB) mowers which range from Woods CM52DHE, Woods CM52DHE and Woods CM48BD (2/92). Check out the new division for Woods mower parts at German Bliss, or contact them below. Wieland is highly dedicated to offer a comprehensive range of services as well as repairs. This includes extensive range of activities ranging from air cleaner cleaning, battery service, oil change, blade sharpening, spark plug replacement, carburetor cleaning, greasing, engine cooling maintenance, machine cleaning, and belt check. The lawn mower service provided varies with the type of machine used. Customers located in Peoria, Pekin area and Washington enjoy an advantage of pickup and delivery services. The rates of walk mower cost is $74.95 plus parts while for the riding mower is $149.95 plus parts.